Many of us know how to accomplish this without a touch screen. DSLR's don't use touch screens for focus generally, BTW. 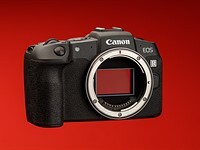 It's a new interface for DSLR as well as miirrorless cameras so people don't have it in their camera and don't use it. Once it's available, many find it improving their use of the camera. It's like all other modern features. Many know how to take a good picture using manual focus. Some use a light meter to measure light if their camera doesn't have an exposure meter. In old times, people were taking good actions shots without all the modern features (focus traking, high FPS, etc.). We can certainly take flash shots without TTL or it more advanced alternatives such as 3D flash metering. Many people know how to take good picture using an old manual film camera and then scan it to their computer.... By your logic, everybody should move back to using a fully manual mechanical film camera because per your say, many know how to accomplish. Does your logic sound right to yourself?! Er, no, but there are several ways to achieve proper focus without a touch screen. And, you can't use a touch screen while looking through the EVF, of course, or it would be difficult ergomically speaking. They make other models without a built-in EVF and those do have touch screens. Anyway, no great loss for many of us.